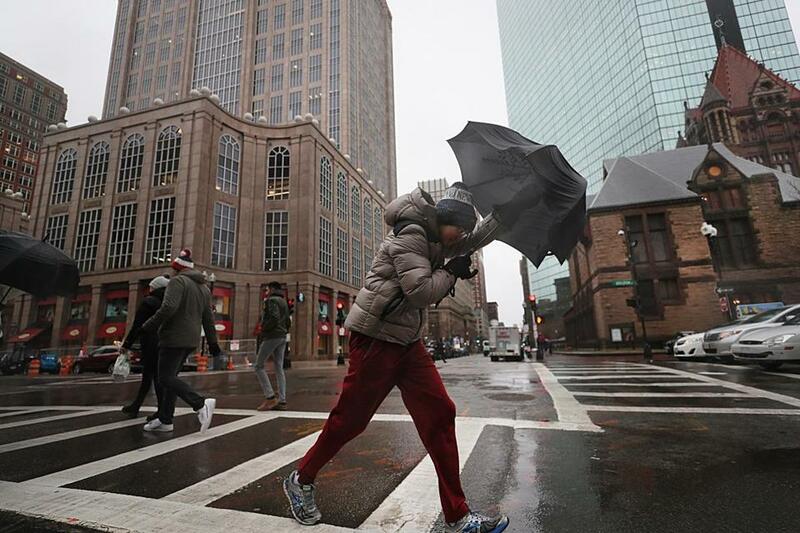 People walked on Boylston Street in the wind and rain on Dec. 28. You may have seen the mild temperatures predicted for today and felt a flutter of hope. But not so fast, forecasters say: That welcome warmup will be accompanied by drenching rain and wild winds. “Heavy rain on Thursday will bring the potential for some flooding, strong to damaging wind gusts, along with unseasonably mild temperatures,” the National Weather Service said. The storm will begin with showers spreading west to east, with intensity increasing after midnight Wednesday and continuing through the day. 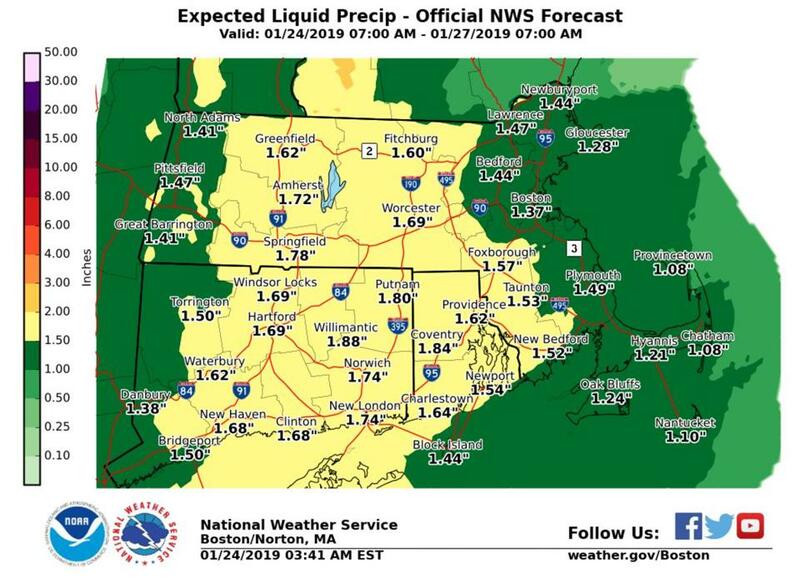 A widespread 1 to 2 inches of rain is expected, with the heaviest soaking across the western slopes of the Worcester Hills, forecasters said. With temperatures rising into the 50s and possibly reaching 60 in some areas, the snow from the weekend storm is also likely to melt. And with the ground frozen, that water will have nowhere to go except the street. “Significant urban street flooding” is a possibility, as well as river and smaller stream flooding, forecasters said. The forecasters issued a flash flood watch for all of Southern New England, effective through Thursday. Rain was already making its way into the region Wednesday evening, and forecasters warned of freezing rain in Western Massachusetts before a warmup turned it to all rain by mid- to late evening. Forecasters also issued wind warnings and advisories for areas along the coast in Massachusetts and Rhode Island, saying winds could gust up to 60 miles per hour in some places. The Boston area could see gusts of 55 miles per hour. The winds will blow hardest late Thursday morning and afternoon, the forecasters said, warning of the possibility of downed trees and power outages. The forecasters also issued a number of watches and warnings for mariners. Things will dry off and cool down Friday and Saturday, forecasters said. The next big event forecasters are watching is a “potent” storm system expected to arrive in the middle of next week. Forecasters say it could be another soaker, but it’s too early to tell. Peter Bailey-Wells of the Globe staff contributed to this report. He can be reached at peter.bailey-wells@globe.com. Follow him on Twitter @pbaileywells.